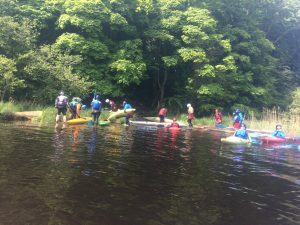 The Broken Weir Kayak Club usually canoe on the Garavogue river situated beside the school. They train every week and welcome every pupil who wants to join in. 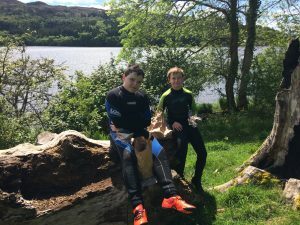 The pupils learn whitewater and K1 racing technique. During the season they go on several trips both up and down the river. Recently there have been many more trips. 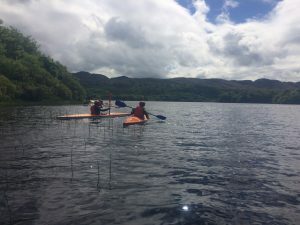 The destination of this session varies depending on a number of factors – mainly the weather! 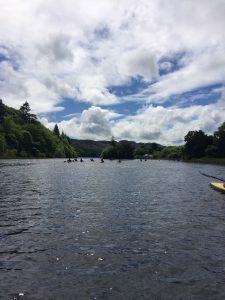 Advanced kayakers travel down the river – heavy rain forms features e.g waves and holes to play about on. Recently the Kayak Shed has been refurbished and now is very suitable for storing all the Kayaking equipment. Numbers are increasing every year, so the club has recently bought new boats. The club has the use of 5 K2s and 6 K1s making long distance trips more accessible. 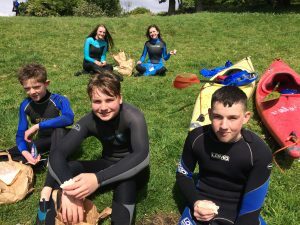 TY students enjoy a module in kayaking so that everyone gets an opportunity to try the sport. This was a good year for kayaking in SGS. 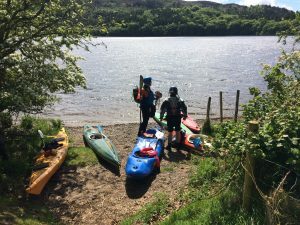 Refurbishment of the Kayaking Clubhouse was completed last September and this year we have 47 active members in the club. 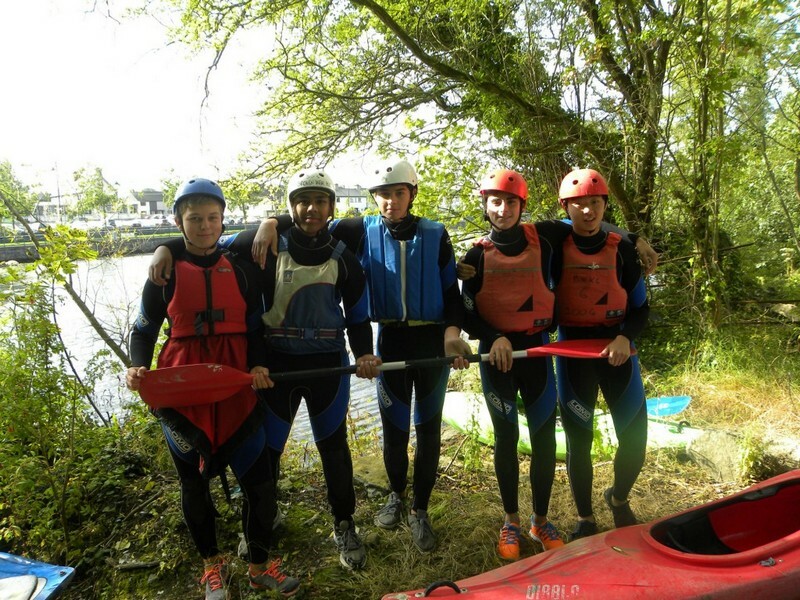 Many of our members presented themselves for exams in kayaking. 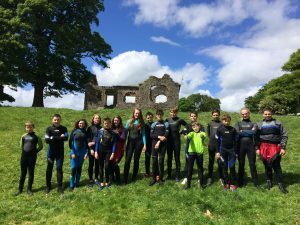 19 students achieved Level 2 Certifcation and 2 students, Matthew White and Ash Stevenson, achieved Level 3 Certifcation which is a great achievement. 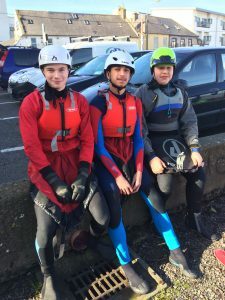 Matthew White finished 5th Overall in the Junior Liffey Descent and we had 14 paddlers taking part in the inaugural Sligo Schools Kayak Competiton last October. 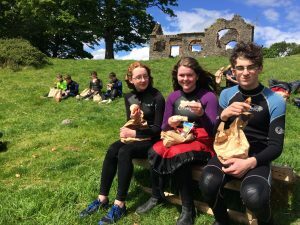 The year finished with a day out and a beautiful paddle to Beezies Island where we had a picnic in the sun…..a memorable year on the water. WHAT IS REQUIRED TO BECOME A MEMBER. 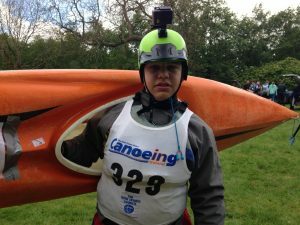 To achieve a Level 3 – you need to have a solid Eskimo roll and be able to navigate the kayak in whitewater and be able to paddle a K1. 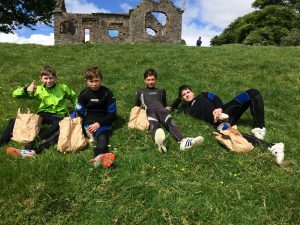 Level 3 allows students to take part in advanced whitewater trips eg. Down the Garavogue, River Duff, Tuam, Clifden etc. 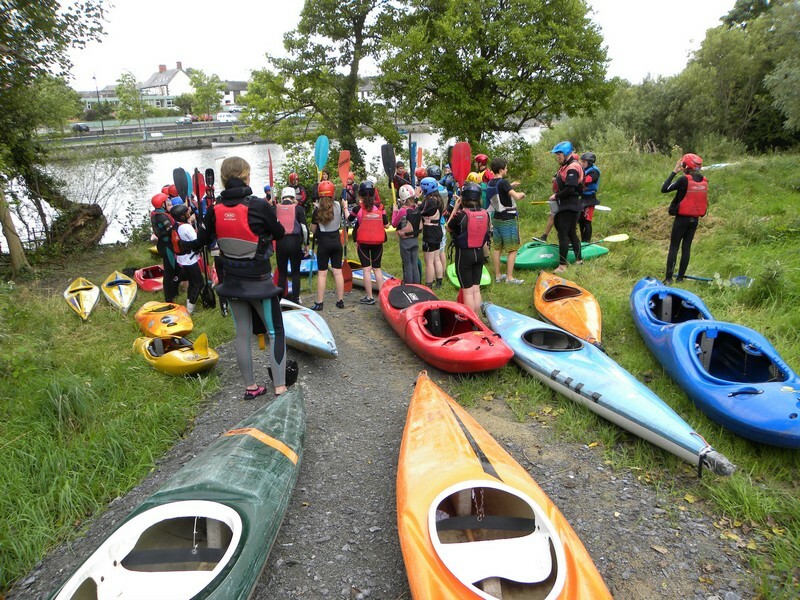 The Broken Weir Kayak club takes part in various competitions during the year, notably the Liffey Descent.